A major milestone for the company is the opening of its 200,000 square-foot, fully-automated plant in Ashtabula, Ohio, on June 3, 2005. The new plant is capable of producing 1 million finished doors per year when running at full capacity – 24 hours a day, seven days a week. The new plant also introduces advanced manufacturing methods to the industry, including an integrated factory computer control system that automates repetitive tasks to enable greater product consistency, enhance employee safety through improved ergonomics and 300 to 400 percent greater productivity than traditional manufacturing operations. The Ashtabula facility will allow Plastpro even greater quality control as well as the flexibility to create new products to better react to market need and demand, and offer homeowners the widest possible choice of product designs, colors, and size. 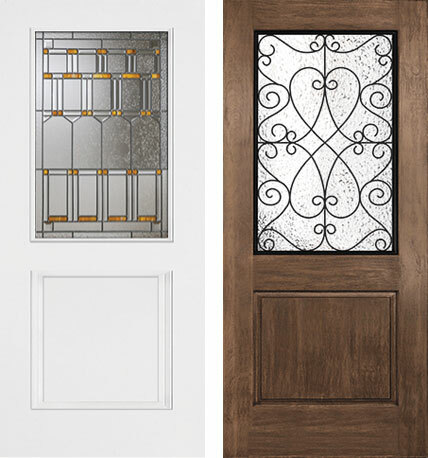 By maintaining control over raw materials like polyurethane, polyester, and fiberglass, as well as manufacturing every part of its Distinction Doors, Plastpro is able to lead the industry through product innovation. Over the past 10 years, the company has introduced a number of breakthrough product enhancements including full-length all-composite door stiles to keep insulation dry, high-strength composite top and bottom rails, BTHP™ Snap-On doorlite frames to eliminate unsightly plugs and screws, a full-length steel brace for strength, and a versatile, extended-size lockblock to ensure the doors fit with any door lock. Plastpro also brings the latest technology advancements to the industry to meet customer concerns. Hydroshield Technology® protects against water infiltration on all sides of the door, eliminating warp, corrosion, rot, delamination, mold and mildew.